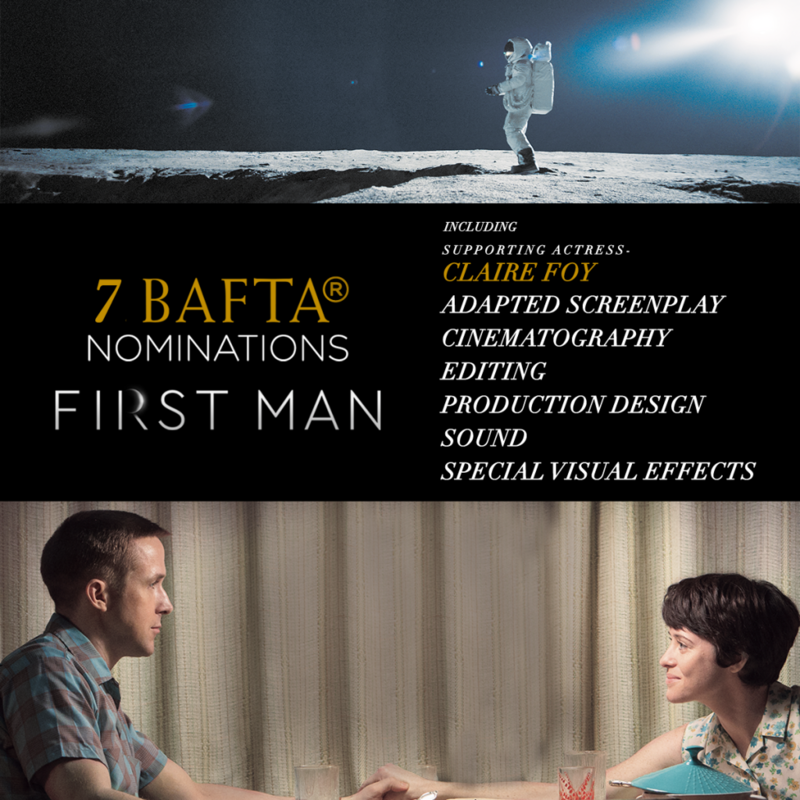 First Man has been nominated for 7 Bafta Awards – The Bristish Oscar Awards. The ceremony will take place in London on Feb. 10 … KUDOS! Best Special Visual Effects Ian Hunter, Paul Lambert, Tristan Myles, J.D. Schwalm.